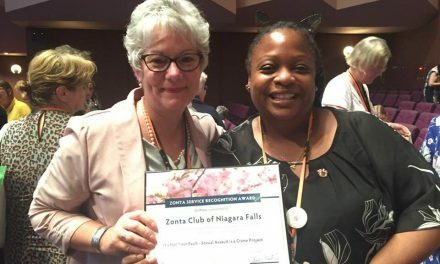 Z Club Charter 861 Niagara Falls, NY March 30, 2019 (left-right): AD3 Jenny Johnston / Z Club President Quemisha Barnett /D4 Lt. Gov. 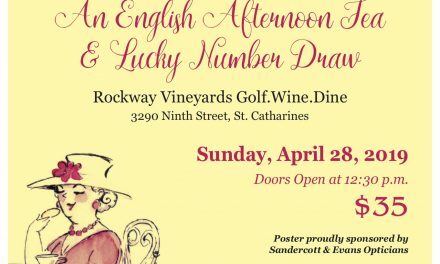 Janice Durmis / D4 Z Clubs Chair Lucille Disanto /D4 Gov. Bonnie Clesse / ZC Niagara Falls, NY President Lindsay Edwards / Past D4 Gov.s Bonnie Crogan-Mazur & Daisy Waters, members of ZC Niagara Falls, NY. 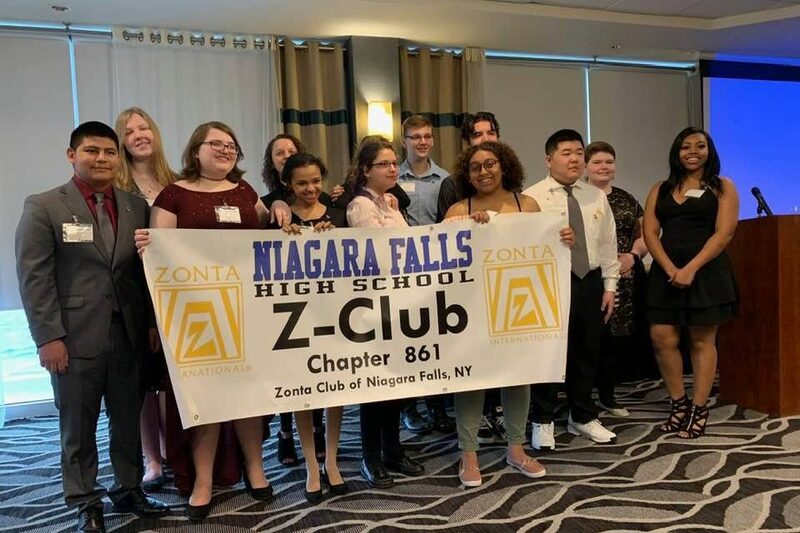 It was special to have the Charter Induction Luncheon of Z Club of Niagara Falls, NY, # 861 today, Saturday, March 30th … while we are celebrating our Centennial. We remember the past & look to the future that we’ll entrust to these teenage future men & women. Yes, this is another co-ed Z Club.